Employing the latest extraction method, Brazilian Green Propolis contains higher concentrations of flavonoids (antioxidant properties) than other types of propolis collected from Brazil and it is free from chemical and preservatives. 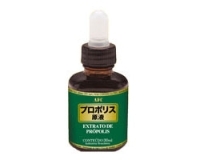 Propolis is a natural antibiotic that protect the entire honey-comb from bacterial and foreign invaders. 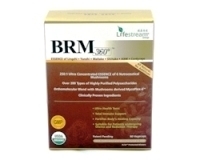 Propolis has also been shown to be beneficial in humans for optimum immune system and overall health function. Every batch of AFC Brazilian Green Propolis Extract is being tested to meet all stringent safety standard and also compliance with food safety in Japan to ensure highest efficacy and safety. AFC Brazilian Green Propolis Extract is highly recommended for patients undergoing chemotherapy and radiotherapy. Note: Can be mixed in water/ honey or applied directly to affected areas.